Buying tires can be intimidating, but its really pretty straight-forward if you understand the basics. The tire experts at Giga-tires.com have assembled a library of guides to assist you buy tires online. Start by reading the article that corresponds to your type of vehicle, and you'll quickly narrow your options to those that meet your needs best. How To Buy Cheap Tires Online? Buying tires online is becoming more and more popular because it is more convenient than going to a garage or tire shop, and it empowers you to decide which tires you want according to your budget. The first step is to know your tire size. Once you know your tire size, there are 6 easy steps to getting a great deal on new tires! Input your tire size (section width, aspect ratio and wheel diameter) into the tire finder on your preferred tire website. Giga-tires.com features an easy-to-use tire finder that makes the process of finding tires painless! You can filter on brand or model name, as well as category or type of tire. Input your zip code where you’d like your tires shipped to calculate the price of shipping and how long they’ll take to arrive. Click “view tires” and browse the different options. When you’re ready to buy, add the item to your cart, apply any coupons, and checkout. Enter a billing address, shipping address, contact info and then your payment method. Giga-tires now offers “Affirm” financing and “PayPal” payment methods, as well all major credit cards. After buying your tires, make sure to sign up for the newsletter, as well as registering your tires to ensure that you’re notified in the unlikely event of a tire manufacturer safety-related recall. Track you package on Fedex.com to know precisely when your tires will be delivered. Giga-tires.com uses FedEx Ground. You will receive a shipping confirmation with a tracking number and a time-in-transit estimate as soon as they are picked up at the warehouse. Now that your tires are in-route, you can call around or research local garages that will give you a fair price on installation. You can make an appointment or show up at your convenience, for a fast and hassle free tire buying experience. Buying tires online can be confusing and overwhelming because there is so much information available. Online customer tire reviews simplify the tire buying experience, save you time and money, and gives you confidence in your tire purchase. The most accurate reviews are from the average driver with experience on a specific tire or brand. Basically, other customers just like you! Want to find out what other tire customers are saying about a particular tire or brand? Comparing brands and pricing? Tire reviews are available online from many different sources including tire manufactures, consumer reports, and driving enthusiasts. But Giga-tires believes that the best, unbiased reviews come from everyday drivers like you. For this reason, we contact all our customers six months after they have bought tires, specifically requesting their honest and candid feedback about the tires performance. There are thousands of comments about treadwear mileage, wet traction, comfort, handling and more that is hard to find all in one place. You can find the tire reviews easily once when you’ve entered your search criteria on Giga-tires.com. Click on the star ratings on the right of the screen, above the price to see all of the feedback for that one specific tire style. Everyday, Giga-tires.com receives dozens of tire reviews from our tire customers, and is constantly adding and improving the quality of the information to help you make a better decision. If the tire that you are interested in is lacking a review, please contact our customer service team at 1-833-885-8575, and they will be happy to assist you. Reading online customer reviews will help you feel confident that you have selected the best tire for your particular needs and vehicle. Visit www.giga-tires.com and read the thousands of reviews to find the best tires that fit your budget and needs. Whether you’re looking for discounted, cheap tires or premium, high performance tires, Giga-tires puts you back in the driver’s seat of your tire buying experience. What are the Best MT tires for Driving on the Street? 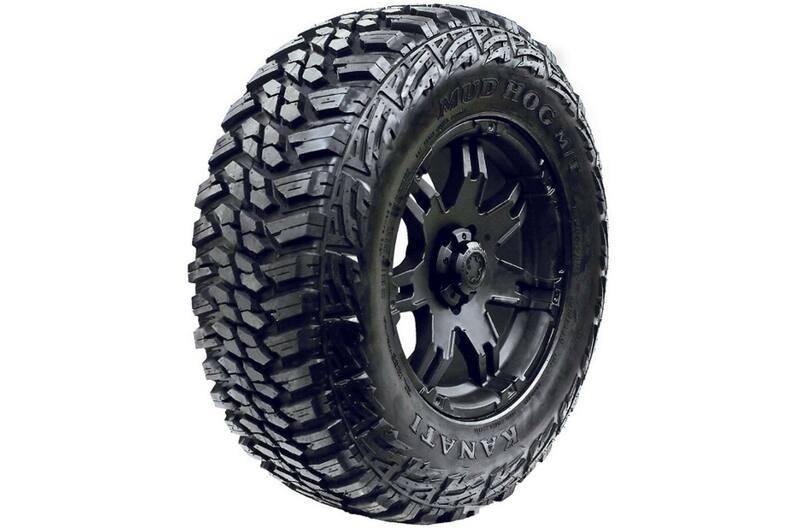 Kanati Mud Hog tires have an extreme tread design with a great balance of off-road traction and road ride and comfort. Also, the tread rubber is special designed to resist wear on all types of surfaces, including pavement. This means long tread-life for people that use their Jeep or pickup truck exclusively on the highway or city streets. What Makes a MT Tire Good on the Street? The secret to an aggressive mud tire lasting a long time when driving only on paved roads is the tread rubber and the tread design. Mud Tires have wide spaces between the tread blocks. This means good water and mud evacuation on the street or off-road, but it can be hard on the tread rubber. Lesser tires will wear out too fast, but the Kanati Mud Hog has durable rubber to resist irregular on the tread blocks. Are Federal Couragia M/T Good Tires for Driving on the Street? The answer is yes! Federal Couragia have the aggressive tread design and excellent off-road, but with a unique incremental block edge and special tread compound to create a good on-road ride. How Much Should I Pay for Good MT Tires? The price of MT tires varies greatly according to the size. In part, this is because the tires are so large and lot more material goes into making a 37 inch mudder vs a small 31X10.50R15. 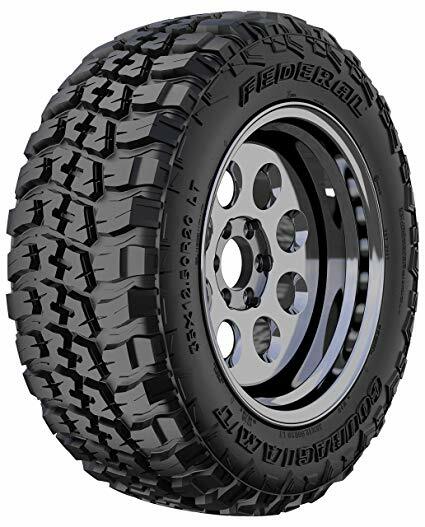 The Federal Couragia M/T tires range from under $100 for a smaller size to + $250 for the largest size for lifted Jeeps and full size pick up trucks. How is the Quality of Federal Tires? With Federal tires you don’t sacrifice performance for cheap price. It has reinforced rubber compounds, for mileage on the street, while preventing cuts, chips and abrasions when off-road. The strengthened shoulder provides for excellent off-road traction and protection from off-road impact. Finally, the optimized block tread pattern quickly sheds dirt, sand and gravel. Are Mud Claw Extreme M/T tires any Good? Our customers think so! 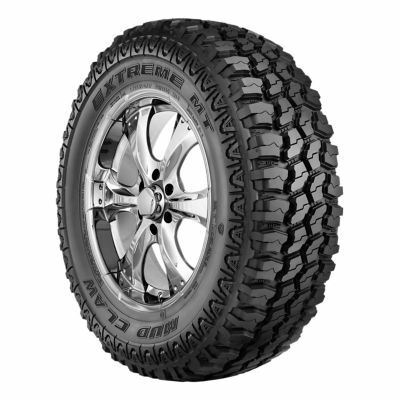 The Mud Claw Extreme M/T is a quality, inexpensive tire for any off roading activities. The big tread lugs and upper shoulder block features adds the aggressive off-road look that truck and Jeep owners love. It’s quiet on the highway despite the aggressive tread pattern. Why Buy Mud Claw Extreme M/T tires? The Mud Claw Extreme M/T has plenty of features and benefits usually found in much more expensive tires. For example, the tread had large center lugs with off-set shoulder lugs for pulling power and lateral stability. The high void tread design means fast and efficient mud, water and slush evacuation. The reinforced casing and durable rubber protects the sidewall and tread from chipping and pre-mature wear-out even when driven exclusively on the streets. “They look awesome! Very aggressive tread and clean look.” - Rob S.